MONDAY, Aug. 28, 2017 (HealthDay News) -- The first dose of the hepatitis B vaccine should be given to babies within 24 hours of birth, new guidelines from the American Academy of Pediatrics say. "This is the first vaccine a baby receives," said Dr. Flor Munoz, co-author of the recommendation. 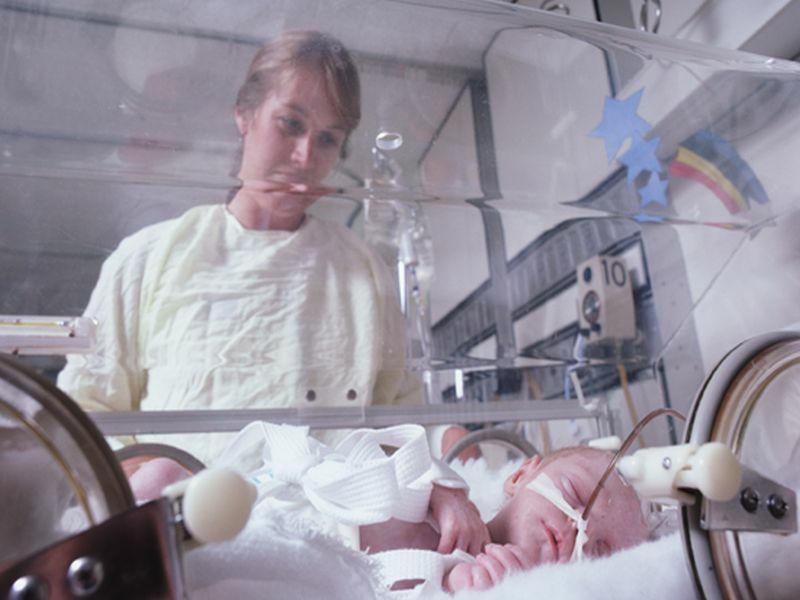 "It is important that no newborn leaves the birth hospital without it. We encourage pediatricians to advise expectant mothers about the need for their babies to receive the birth dose of the hepatitis B vaccine." Hepatitis B, a viral infection, causes damage to the liver and can become a chronic illness. It can lead to various liver problems, including liver failure, and can be deadly. An estimated 1,000 newborns in the United States develop hepatitis B each year, even though the vaccine prevents many infections. The new recommendation advises that the vaccine be given to all newborns who are medically in good shape and weighed at least 4 pounds, 6 ounces at birth. "Hepatitis B can lead to devastating lifelong illnesses or even death, so this vaccine is a critical safety net to protect babies from acquiring a potentially serious infection at the time of birth," said Dr. Elizabeth Barnett, co-author of the recommendation. "Many adults with an infection do not feel or look sick and are not even aware that they carry the virus. It is contagious and adults can [also] transmit it while caring for an infant after birth," Barnett explained in an academy news release. An estimated 98 percent of babies become immune to hepatitis B after getting the three to four doses that are required. "The national opioid epidemic has led to an increase in new hepatitis B infections in some states," said Dr. Karen Puopolo, also a recommendation co-author. "Infants are especially vulnerable to infection at the time of birth, and need the maximal protection provided by administering the first vaccine dose shortly after birth." The academy also recommended that pregnant mothers be tested for hepatitis B before they give birth.